Today I have Part 3 of the four part series on obstacles to buckling down and creating an ebook. In today’s ‘quicker than quick’ digital society, ebooks are big business, especially information ebooks. Simple, information is money. It always was and always will be. And, people want information . . . and they want it fast. The internet provides an easy vehicle or platform for you to offer quality information to a receptive audience. So, why isn’t everyone on the ‘writing an ebook’ bandwagon? The answer: Obstacles, perceived or real. Let’s go over three of them. 1. It ALL seems too BIG, too overwhelming. With many things, tackling something new may seem overwhelming or intimidating; writing an ebook can certainly fall within this area. But, it doesn’t have to. Taking the liberty of sounding corny, every journey, or in this case project, starts with one step. And, each subsequent step brings you closer to your goal and success. When you think of a project as individual steps leading you toward your goal, it has a way of reducing the anxiety related to it. To do this, create a plan of action. Your plan of action will start with ‘focus.’ Write your goal down: write an information ebook. Next, make a list of the tools you’ll need, which are basically information to turn into content and a cover. Finally, create a step-by-step plan or strategy on how you’ll reach your goal. Now all you have to do is follow your own instructions, one step at a time. There’s no getting around this, you will need motivation. It’s motivation that will take you from neutral to drive to success. And, to be motivated you need a CLEAR focus or goal. In a webinar presented by pro ebook creator and marketer Jim Edwards, he explained that motivation is activated by two forces: Push force (an external force motivator – extrinsic motivation) and pull force (an internal force motivator – intrinsic motivation). Using a professional athlete as an example of extrinsic motivation, the astronomical salary and bonuses would be an extrinsic motivator for playing his best. In regard to intrinsic motivation, the athlete’s desire to be the best in his profession and to become famous and wealthy would be his internal motivators. Whichever your motivating force you need to have clarity. You need to know why you want to write an information ebook. This clear-cut need or want will be your motivating factor. 3. Writing an ebook and having to publish it is too technical. You’ve written an informative and quality ebook and now it’s time to publish it on Kindle, or Smashwords, or other ebook distributor. Great. Job well done. Sound familiar? For many, this is the perceived insurmountable mountain. This is where your information ebook production and marketing comes to a halt. Now it’s time to take a step back and take a deep breath. You can think this obstacle through. a. Dig in, pull up your sleeves, and figure it out. Yes it’ll take time, but if you think of it as a step-by-step process you can do it. b. Buy a book that offers the information. Or pay someone to give you step-by-step instructions. 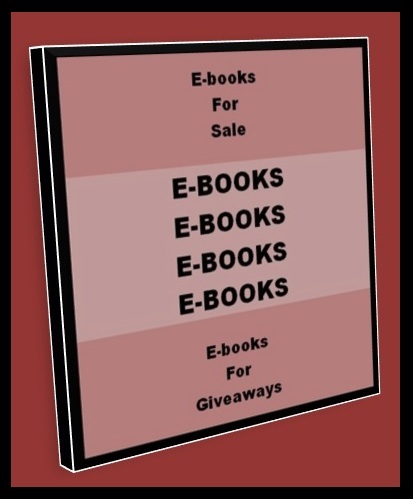 There is also tons of free information on how to format and upload on Kindle. Do an online keyword search. c. Hire it out. 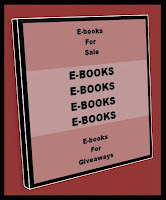 There are freelancers who will format an ebook for you at very reasonable rates. Check out Fiverr.com. d. Need help creating your own ebook cover? Try Fiverr.com. You can get some pretty good covers there. There you have three potential obstacles to writing an ebook and their solutions. Remember, if you start to feel overwhelmed or start to generate negativity, stop and rethink. Follow the experts’ steps and believe if they can do it YOU can too.